This is a quick start guide to start coding the pedalSHIELD MEGA. I am going to explain just the basic ideas you need to know to progress as fast as possible and then a series of effects from easy to difficult. You need to know which pins are used to connects the hardware resources (LEDs, buttons, switch, Display, ADC, PWMs). Then in the effect codes, you will know which pins need to be read or write. I2C Bus (pins 20 & 21) : OLED DISPLAY. You would need the Arduino IDE Software. 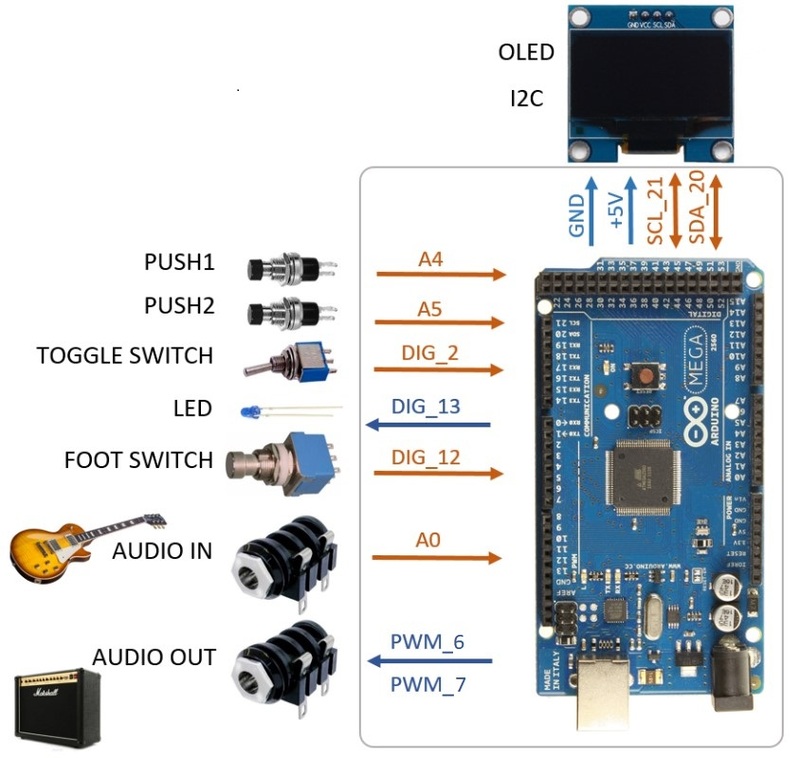 It is available in the Arduino Software page with all the instructions. There is also a "Getting Started with Arduino" guide for more details. We have a series of pedal effects already coded and available in the forum. All these effects have "educational" purposes. The idea is to have them as a base to start improving or coding your own effects. Therefore, these codes have a balance between performance and complexity so you can understand them easily. Last Edit: 1 month 2 weeks ago by Ray.